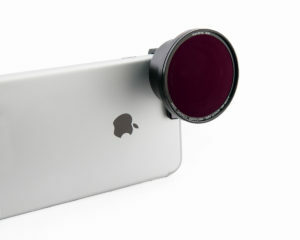 With the success of their anamorphic lens adapter for the iPhone, Moondog Labs is expanding their accessory line. From filters to fit lenses designed by Zeiss, to counterweights that can adjust three axis gimbals, shooting with the Moondog is about to get even beter. Moondog Labs continues to expand the world of mobile filmmaking and photography with our newest accessories – for Zeiss mobile lenses and the Smooth Q gimbal. Working with Zeiss, Moondog Labs has developed a new filter mount system that will enable users to mount Moondog Labs filters and Zeiss wide angle and telephoto lenses. The filters include 52mm neutral density filters, from ND4-ND16 and a circular polarizer filter. 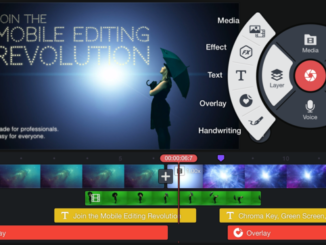 “The mount pairs perfectly with the Moondog Labs line of ultra-thin, ultra-light cinema-grade filters designed specifically for mobile applications,” states the press release. Pricing of the filter mount is $35, while Moondog’s Filters are about $30 each for the ND filters, and $35 for the circular polarizer. Moondog Labs also has filter mounts for the GoPro HERO4 and iPro Lens systems. 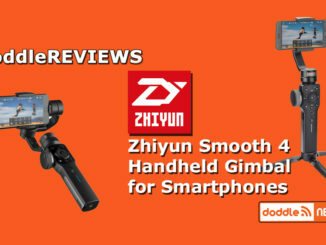 Moondog Labs has also added new counterweights for 3-axis gimbals by by DJI and Zhiyun to make it more stabile when using the Anamorphic Adapter, or other mobile lenses while shooting. The counterweights are magnetic and can mount onto either gimbal to counterbalance the additional weight of the adapters. I had wondered about that when I recently got the Anamorphic adapter (review coming soon). 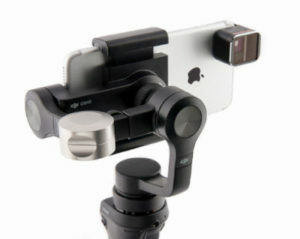 How would be throw off a gimbal stabilizer? Well, a counterweight is a good way to even out the extra load. Course, not every configuration requires a counterweight, the iPhone 5/5S and SE models don’t, but almost every other model, including the iPhone 8 and 8+ does. The iPhone X, however, is another matter, and the jury is out as to what it will require. The Counterweights are $40. 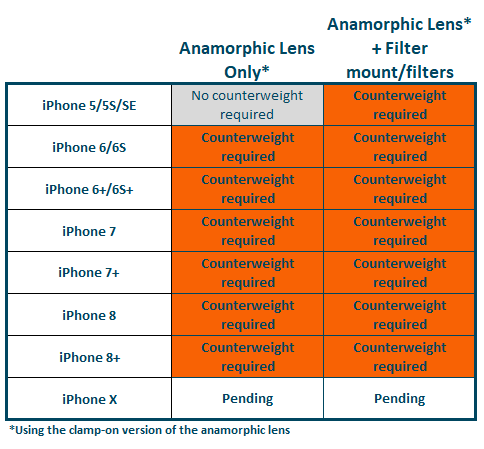 Speaking of the 1.33x Anamorphic Adapter and the iPhone 8, Moondog Labs is in development to support Apple’s top-of-the-line smartphone, with plans to ship by mid-December. Pricing should be the same at $175. 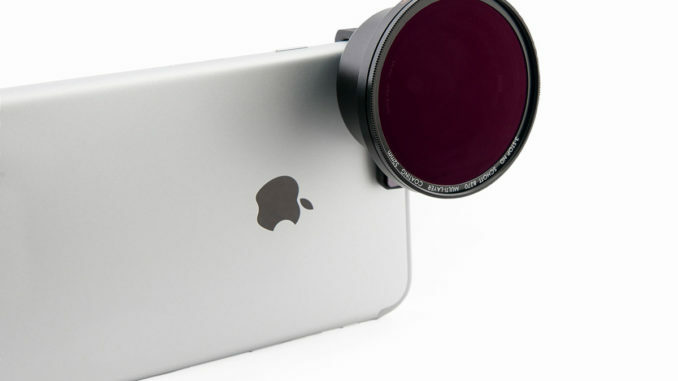 You can also pickup an Anamorphic Adapter for 37mm threading that is can be used with both the BeastGrip Pro cage and the iOgrapher for iPhone, for the same price, plus the BeastGrip Pro would require a lens mounting adapter plate, which is another $30. 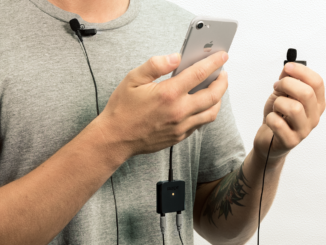 Frankly, I’m thrilled that Moondog expanding their mobile filmmaking accessory line with these models. They’ve had the cage and iOgrapher versions for awhile now, and with the iPhone 8. But with the latest counterweights, users no longer have to choose between shooting anamorphic, or shooting stabilized by gimbal. And that’s thrilling. 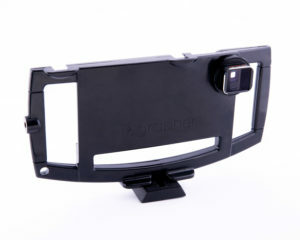 All these accessories are available at Moondoglabs.com, and B&H.